We’re excited to reveal the winners of the fourth annual Gary Logue Colorectal Nurse Award. 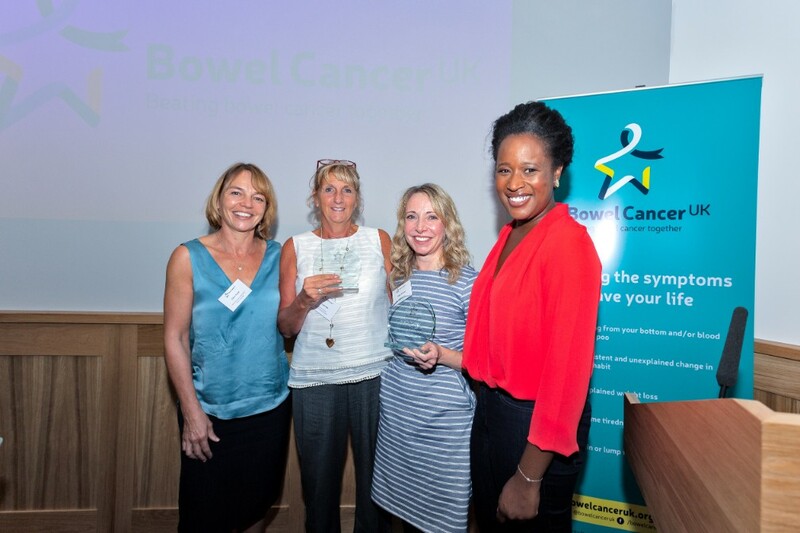 The award marks the achievements of colorectal nurses who make a huge difference to both the lives of their patients and their colleagues across the UK. The winner for the award for a nurse nominated by their colleagues is Alison Stewart from Western General Hospital, Edinburgh. 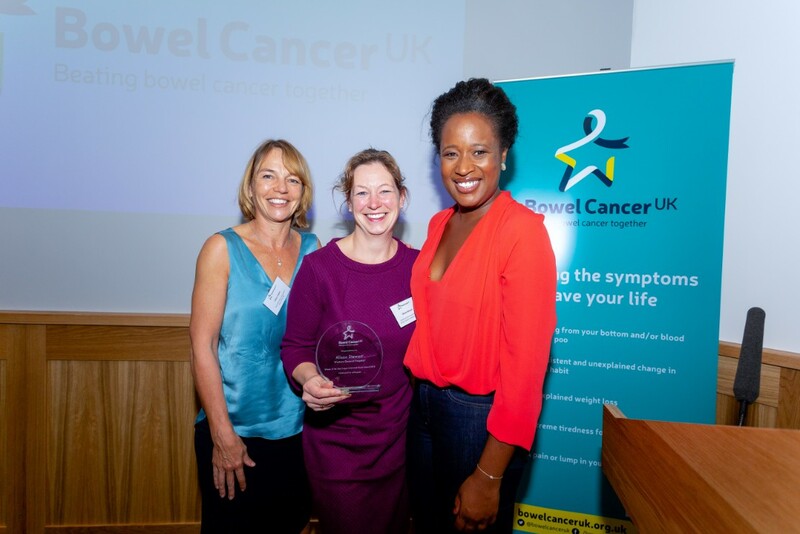 The judges were particularly impressed by her excellent communication skills, team leadership and support for both her peers and bowel cancer patients. The runners up are: Lindsay Richards from Royal Glamorgan Hospital, Wales, and Sue Kennedy from the Royal Liverpool and Broadgreen University Hospitals NHS Trust. We announced joint winners for the award for a nurse nominated by patients, who are: Eleanor Rae from Wishaw General Hospital, Scotland, and Angela Wheeler from Barnet Hospital (Royal Free), London. The judges were overwhelmed by their outstanding care for those with bowel cancer and their families. The runners up are: Tracey Becker from South Warwickshire Hospital, and Yvonne Melrose from Queen’s Hospital, Essex. A special thank you goes to Charlene White, ITN newsreader and patron of the charity, for presenting these special awards. The award was set up in memory of Gary Logue, a nurse who worked for the charity, who passed away in 2014.